The tight pattern of bright and dark ripples in the center of this image is an area where loose material was sculpted by the gentle surface winds into dunes. The bright streaks of material curve away from small hills, revealing which way the winds were blowing. 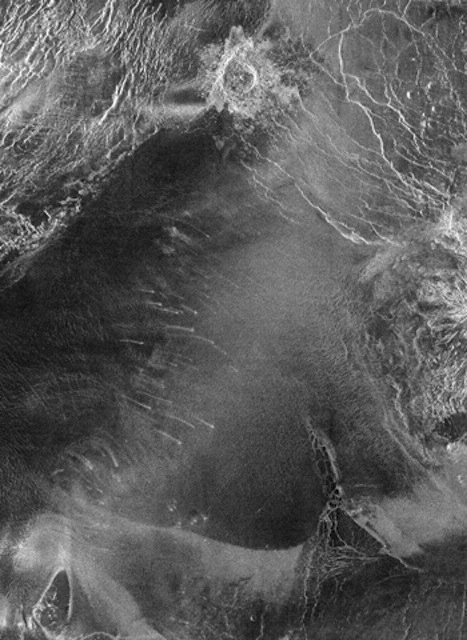 Stronger winds caused by meteorite impacts may also help create such features.